October 2014 | Florida Law Advisers, P.A. In a Chapter 7 bankruptcy, a debtor may be required to liquidate non-exempt assets in exchange for being released from their debts. Assets which are exempt from the bankruptcy will not have to be sold. Exempt property is property that you do not have to forfeit when filing for bankruptcy and are instead entitled to keep. It is important to have an experienced Tampa bankruptcy attorney at your side who can use the bankruptcy law to help you keep your assets in Chapter 7 bankruptcy. Depending on the circumstances of your case all of your property may be exempt from the bankruptcy. On the other hand, you may be forced to liquidate precious assets if you file for bankruptcy and your property does not qualify for an exemption. Therefore, you should speak with a bankruptcy lawyer in Tampa before taking any legal action. Under Bankruptcy law 11 U.S.C .722, the debtor has a right to buy back the assets they used as collateral from their creditor. Moreover, the cost of buying back the collateral may be much less than the amount of money owed to the creditor. The cost of the property will be determined by a court-imposed valuation, the amount of the loan used to secure the debt will not determine the buyback price. However, this right only applies to consumer goods securing a consumer debt. Moreover, the property must be either exempt (see above) or abandoned by the bankruptcy trustee. Further, the debtor cannot use property of the estate to pay the buyback price. For more information on how to keep your assets in Chapter 7 bankruptcy with property redemptions contact a bankruptcy lawyer in Tampa. Reaffirmation is another tool available to keep your assets in Chapter 7 bankruptcy. See Bankruptcy law 11 U.S.C. 524. When a debt is reaffirmed, the borrower voluntarily agrees to pay the creditor all or a portion of the money owed. A borrower will usually reaffirm a debt when the debt has collateral the borrower wants to keep, such as a car or valuable jewelry. However, debtors should consult with their bankruptcy lawyer before agreeing to reaffirm a debt in bankruptcy. If a debt is reaffirmed and the borrower fails to pay the debt, the creditor can seek repossession and engage in other collection activity. If you are having a difficult time meeting your financial obligations Florida Law Advisers, P.A. may be able to help. Our Tampa bankruptcy attorneys have years of experience helping people just like you solve their financial problems and obtain a fresh start. We combine our experience and skills in the courtroom with a thorough knowledge of the law to help achieve the results our clients need and deserve. When you hire Florida Law Advisers, P.A. you don’t just get legal advice, you get experienced bankruptcy lawyers by your side every step of the way. Call us today at 800 990 7763 to speak with a bankruptcy lawyer in Tampa. If you are struggling to keep up with your expenses, you should consider filing for Chapter 7 bankruptcy. Chapter 7 gives borrowers the opportunity to eliminate debt and regain their financial health with a fresh start. However, bankruptcy is not right for everyone and you should consult with a bankruptcy law firm in Tampa before taking action. Additionally, there are legal requirements for Chapter 7 bankruptcy in Florida which must be satisfied in order to obtain the fresh start Chapter 7 can offer. 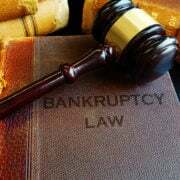 Chapter 7 bankruptcy is also known as a liquidation bankruptcy because the debtor (borrower) may be ordered by a bankruptcy court to sell certain assets as one of the requirements for Chapter 7 bankruptcy. Fortunately, not all of a debtor’s assets will be subjected to liquidation by the bankruptcy court. Florida bankruptcy law provides exemptions for many of the assets a debtor might own. If an asset is exempt from liquidation the borrower will not be required to sell the asset. An experienced bankruptcy attorney in Tampa should be well aware of all the exemptions available to a debtor and limit the amount of assets a borrower may have to liquidate in a Chapter 7. Typically, individual consumers with large amounts of unsecured debt file for Chapter 7. However, Chapter 7 is not reserved solely for individual consumers, partnerships and corporations that have a place of business in the U.S. may also be eligible for Chapter 7. See 11 USC 101. However, railroads, banks, credit unions, and insurance companies are specifically exempt from Chapter 7 relief. Bankruptcy law also restricts how often a debtor can file for Chapter 7. Under current bankruptcy law, a debtor that previously filed for Chapter 7 relief must wait eight years before being eligible for Chapter 7 again. The wait time for eligibility was increased from six years to eight years as part of the Bankruptcy Abuse Prevention and Consumer Protection Act of 2005 (BAPCPA). The BAPCPA enacted many requirements for Chapter 7 bankruptcy, including the means test. The purpose of the Means Test is to reserve Chapter 7 bankruptcy protection for individuals who truly need it. The Means Test requires that applicants earn an income below a specified amount as one of the requirements for Chapter 7 bankruptcy. The Means Test must to be completed on Bankruptcy Form 22A and signed by the debtor. Further, the Form 22A must include a verification that the information provided in the Form is true and correct under penalty of perjury. The Means Test is a multistep process that can be confusing and intimidating to debtors filing for Chapter 7 without the aid of a bankruptcy lawyer. For more information on how the Means Test works contact a Tampa bankruptcy lawyer. Requirements for Chapter 7 bankruptcy also include credit counseling classes. Chapter 7 debtors are required to complete a credit counseling class within the 180 days immediately preceding the bankruptcy filing. The class can be done on an individual basis or conducted in a group setting. Moreover, the course can take place by telephone, internet, in person, or even in your attorney’s office with your bankruptcy lawyer present. Once the course is complete the debtor will need to file a statement of compliance with the bankruptcy court. The statement should include either a certificate or a statement that the debtor received the briefing but does not have a certificate. Florida divorce law provides for how to terminate alimony in Florida. Under Florida divorce law §61.14, alimony payments may be modified or terminated by a Florida family law court if there is an unanticipated, substantial, material, and involuntary change in the circumstances of either party, that was not contemplated for at the time the amount of alimony was set. The modification can either increase, decrease, or terminate the alimony paid to an ex-spouse. If you need assistance with terminating or preventing a change in alimony contact a divorce attorney in Tampa advice on your specific case. If permanent alimony was awarded it may modified or terminated upon the death, remarriage, or when the ex-spouse enters into a supportive relationship. 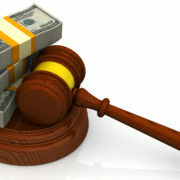 However, the most common reason a modification of alimony is an involuntary loss of income. Voluntary reductions in income by incurring debt is not valid grounds for a modification. See Cowie v. Cowie. When determining if a modification is justified, the court will consider the parties’ relative financial circumstances at the time of entry of the final judgment, compared with the parties’ relative financial circumstances when the petition for modification was filed. See Mastromonico v. Mastromonico. For more information on how to terminate alimony in Florida due to death, remarriage, or change in income contact a divorce law firm in Tampa for assistance. The extent to which the party receiving the alimony and the person they are in a relationship with have acted as a married couple. For instance, are they using the same last name, living together, referring to each other as husband and wife, or otherwise conducting themselves as if they are in a permanent supportive relationship. The extent to which the party receiving the alimony and the person they are in a relationship with have pooled their assets and income. The extent of financial support provided to the ex-spouse by the person they are now in a relationship with. A skilled divorce attorney will be able use these factors and other evidence to support their client’s position. Additionally, there are many other circumstances that a divorce lawyer can use as ammunition to persuade the court. If you are seeking a change in alimony or trying to prevent a change in alimony payments you should contact an experienced divorce attorney in Tampa. The divorce attorneys at Florida Law Advisers, P.A. have years of experience in both advocating for and against alimony modifications. Our attorneys know what factors are important to Florida family law judges and can competently advocate for our clients rights. If you would like to speak with a divorce lawyer at our firm callus today at 800 990 7763. If you are experiencing financial hardship because the income you receive is not enough to pay your monthly bills Chapter 13 bankruptcy may provide some much-needed relief. Chapter 13 is a form of bankruptcy in which a consumer consolidates their existing debts into one monthly bill that is paid to a bankruptcy trustee. Unlike Chapter 7 bankruptcy, borrowers will not be required to sell their assets as a condition of the bankruptcy. 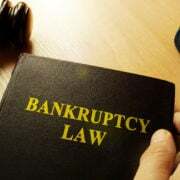 Rather, Chapter 13 is considered a restructuring bankruptcy because the debtor continues to make payments to their creditors according to a court approved payment plan. However, there are a few requirements to file Chapter 13 bankruptcy which must be satisfied. Not everyone is eligible for Chapter 13, there are numerous requirements to file Chapter 13, which must be met in order to be eligible for Chapter 13 bankruptcy. See 11 U.S.C. 109. Therefore, if you are considering filing for bankruptcy it is highly recommended that you meet with a bankruptcy attorney to determine your eligibility before taking any legal action. A bankruptcy lawyer in Tampa can help explain the legal requirements and prepare you for a successful Chapter 13. Only individuals who are domiciled in the United States may qualify for Chapter 13, businesses and corporations are not eligible. Further, there are income requirements to file Chapter 13 bankruptcy as well. To be eligible for Chapter 13, you must receive a regular source of income. The debtor will need to prove the he/ she will have regular and stable income, which is sufficient to pay living expenses and the amounts required under the payment plan. In a jointly filed bankruptcy case, both spouses are eligible even if only one of the debtors receive regular income. A bankruptcy court will focus primarily on the existence and stability of the regular income, rather than the source of the income. See In re Baird. For instance, regular income derived from social security, alimony, pensions, and retirement plans may all be eligible sources of income. See In re Hanlin & In re Varian. There are also debt requirements to file Chapter 13 bankruptcy in Florida. Unsecured debts must be less than $394,725 and secured debts must be less than $1,184,200. Secured debts are loans that have collateral, such as a car loans and mortgages. On the other hand, unsecured debts have no collateral. Examples of unsecured debts are medical bills and credit cards. The amount of debt a bankruptcy petitioner is eligible to have changes frequently, for information on future changes to the debt ceiling click here. 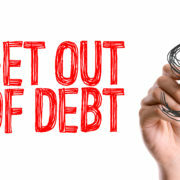 Debtors must also attend two credit counseling courses as requirements to file Chapter 13 bankruptcy in Florida. The first course must be completed within the 180 days immediately preceding the bankruptcy filing. The briefing can be done on an individual basis or conducted in a group setting. Moreover, the briefing can take place by telephone, internet, in person, or even in your attorney’s office with your bankruptcy lawyer present. Once the course is complete the debtor will need to file a statement of compliance with the bankruptcy court. The statement should include either a certificate and debt repayment plan or a statement that the debtor received the briefing but does not have a certificate. Additionally, a second class may be required after your case has been filed. We understand that filing for bankruptcy can be a very confusing and intimidating process. That is why we work so hard to make the process as easy as possible for our clients. When you hire Florida Law Advisers, P.A., you get an experienced bankruptcy attorney in Tampa by your side throughout every phase of the bankruptcy process. We will help ensure your rights are protected, keep you well-informed every step of the way, and help you receive the utmost protection bankruptcy can offer. To schedule a free consultation with a Tampa bankruptcy lawyer at our firm call, email, or fill out an online inquiry on our website today.